Wed., 29 May - Sat., 12 Oct.
See all 26 properties in Whitehorse Intl. 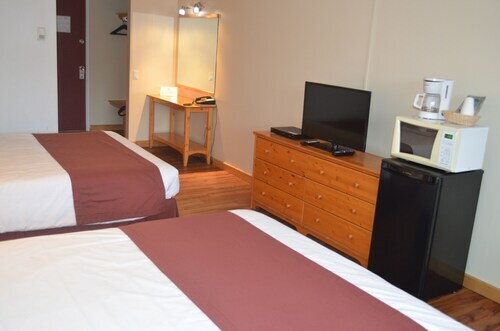 Located in the heart of Whitehorse, this eco-friendly hotel is within a 10-minute walk of S.S. Klondike National Historic Site, SS Klondike, and Old Log Church. Kwanlin Dun Cultural Centre and North End Gallery are also within 15 minutes. 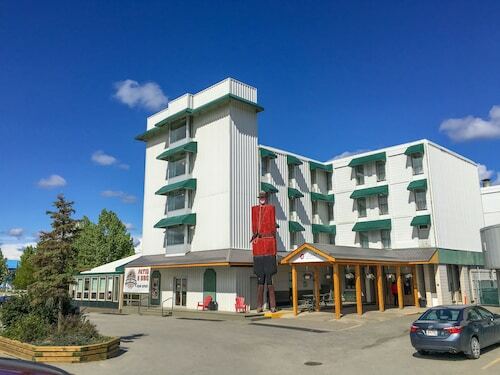 Located in the heart of Whitehorse, this hotel is steps from MacBride Museum of Yukon History and North End Gallery. Kwanlin Dun Cultural Centre and Old Log Church are also within 10 minutes. 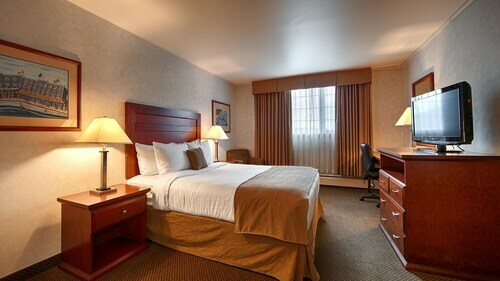 Situated in the business district, this hotel is within 1 mi (2 km) of MacBride Museum of Yukon History, Old Log Church, and North End Gallery. Kwanlin Dun Cultural Centre and S.S. Klondike National Historic Site are also within 1 mi (2 km). 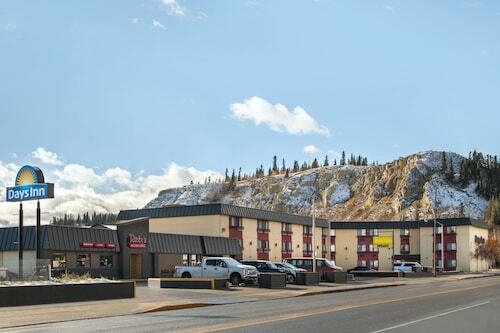 Located in the heart of Whitehorse, this hotel is steps from Kwanlin Dun Cultural Centre, North End Gallery, and MacBride Museum of Yukon History. Old Log Church and SS Klondike are also within 15 minutes. 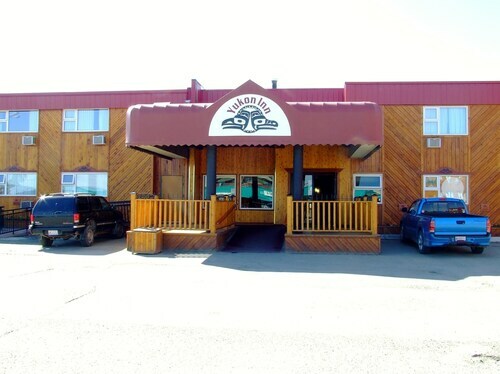 Located in the heart of Whitehorse, this hotel is within 1 mi (2 km) of MacBride Museum of Yukon History, Old Log Church, and North End Gallery. Kwanlin Dun Cultural Centre and S.S. Klondike National Historic Site are also within 2 mi (3 km). 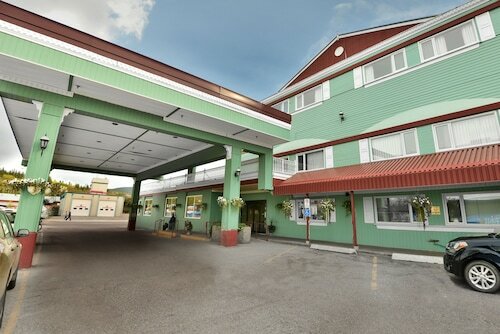 Situated in Whitehorse, this eco-friendly hotel is within a 10-minute walk of Old Log Church, Kwanlin Dun Cultural Centre, and North End Gallery. MacBride Museum of Yukon History and S.S. Klondike National Historic Site are also within 15 minutes. 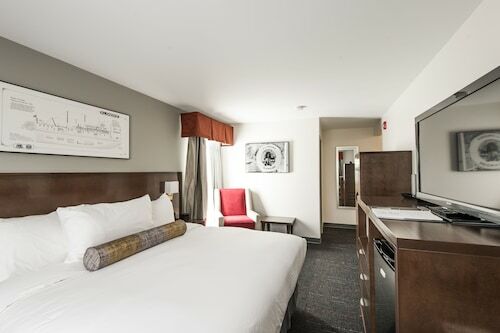 Located in the heart of Whitehorse, this hotel is within a 5-minute walk of MacBride Museum of Yukon History and North End Gallery. Kwanlin Dun Cultural Centre and Old Log Church are also within 10 minutes.